At the wood’s edge cultures collide. Can two families survive the impact? The 1757 New York frontier is home to the Oneida tribe and to British colonists, yet their feet rarely walk the same paths. On the day Fort William Henry falls, Major Reginald Aubrey is beside himself with grief. His son, born that day, has died in the arms of his sleeping wife. When Reginald comes across an Oneida mother with newborn twins, one white, one brown, he makes a choice that will haunt the lives of all involved. He steals the white baby and leaves his own child behind. Reginald’s wife and foundling daughter, Anna, never suspect the truth about the boy they call William, but Reginald is wracked by regret that only intensifies with time, as his secret spreads its devastating ripples. When the long buried truth comes to light, can an unlikely friendship forged at the wood’s edge provide a way forward? For a father tormented by fear of judgment, another by lust for vengeance. For a mother still grieving her lost child. For a brother who feels his twin’s absence, another unaware of his twin’s existence. And for Anna, who loves them both—Two Hawks, the mysterious Oneida boy she meets in secret, and William, her brother. As paths long divided collide, how will God direct the feet of those who follow Him? 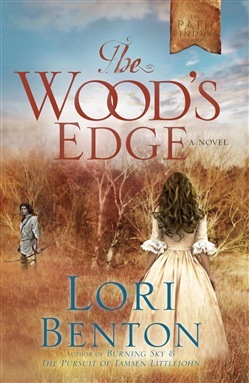 Acquista The Wood's Edge in Epub: dopo aver letto l’ebook The Wood's Edge di Lori Benton ti invitiamo a lasciarci una Recensione qui sotto: sarà utile agli utenti che non abbiano ancora letto questo libro e che vogliano avere delle opinioni altrui. L’opinione su di un libro è molto soggettiva e per questo leggere eventuali recensioni negative non ci dovrà frenare dall’acquisto, anzi dovrà spingerci ad acquistare il libro in fretta per poter dire la nostra ed eventualmente smentire quanto commentato da altri, contribuendo ad arricchire più possibile i commenti e dare sempre più spunti di confronto al pubblico online.